This introduction to institutional economics, follows the history of the field since the early 20th century until the present day. It concentrates on influential authors in the main schools of institutional economics. 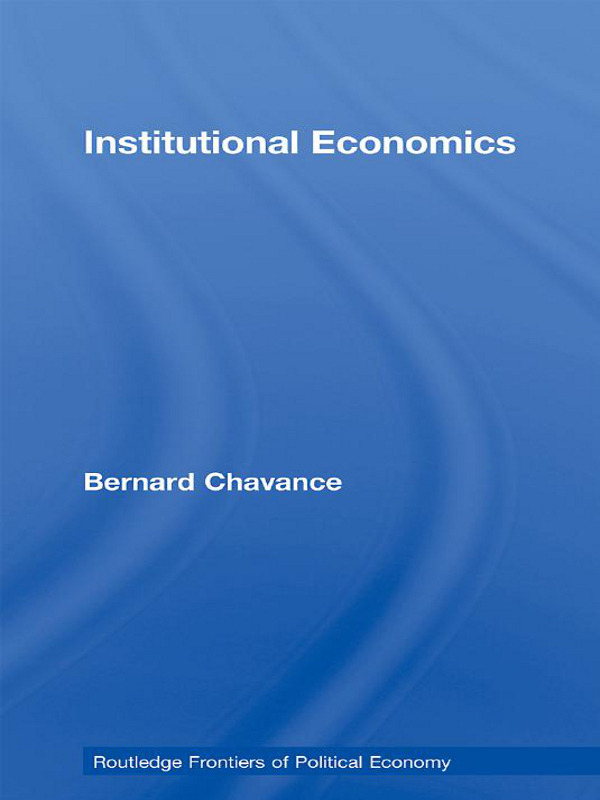 Institutional economics is defined as economic thought that considers institutions to be relevant for economic theory, and consequently criticizes the neoclassical mainstream for having pushed them out of the discipline; it deals specially with the nature, the origin, the change of institutions, and their effects on economic performance. It is a family of different theories that were initially influential in economics, then lost much of their weight in the middle half of the 20th century, and eventually recovered significant creative vitality and impact in the last twenty years. The book puts the recent developments in historical perspective by showing how important themes like the importance of habits, the role of formal and informal rules, the relation of organizations and institutions, the hierarchy and complementarity of institutions, the evolutionary character of institutional change, have been explored by various authors or schools.